I prayed for a word for 2013. God gave me one word. . . 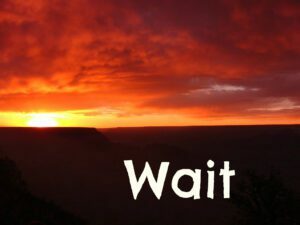 I struggle against waiting often. Sitting still seems wrong. I should be doing something. Anything. Yet God keeps bringing the word to my mind. Next God brought it to me in a song. God doesn’t call us to wait without purpose. Each day is an active waiting. A battle against moving without God’s guidance and yet avoiding being paralyzed. God calls us to rest in Himself, not on our laurels. We are to serve every day. Waiting for direction does not mean I stop serving where God has called me. He has purpose for each of us every day. When I remember though whom I am waiting for, I have hope. He is my sure foundation, my reward, my provider. No matter what I wait for I trust Him. I trust He will guide me in paths of righteousness and lead be to green pastures. God has a plan for this wait. A plan to teach me about myself and about Himself. Oh that I would worship Him in the wait. Laying aside my desires for His. 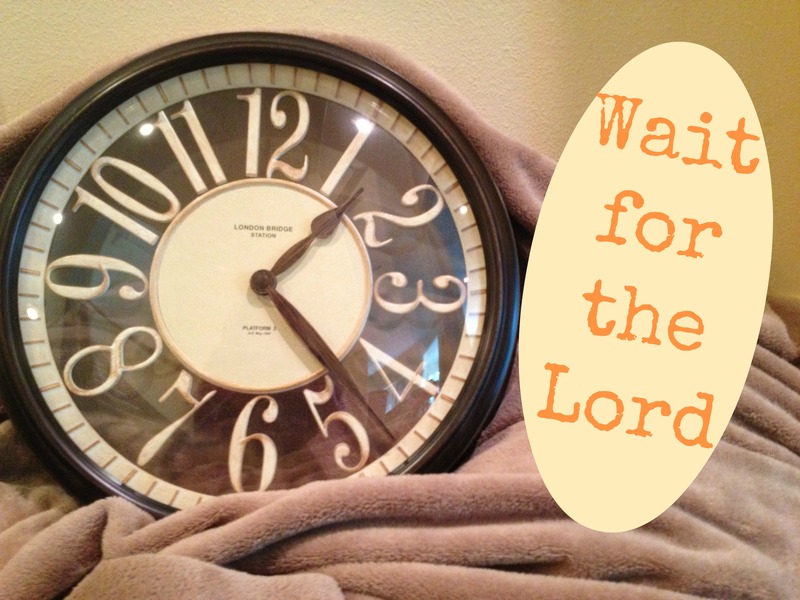 What has God taught you in the wait? Angela ~ Thanks for the post, it was just what I need to hear. 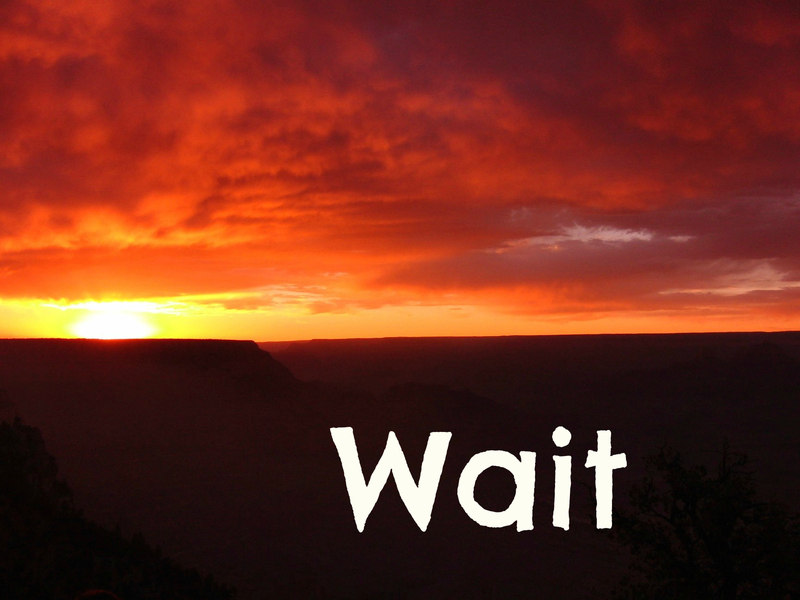 I am a “do-er” not a “wait -er” and God has been calling me to “Wait!” And it has been long, and I am growing weary. Yet, I know that I have no other choice than to wait. And as you said, He is worth the wait! Thanks again and God bless! Ronda. I am so glad this post blessed you. Waiting is a battle for me too. Praying as you wait for Him that He renews your strength.